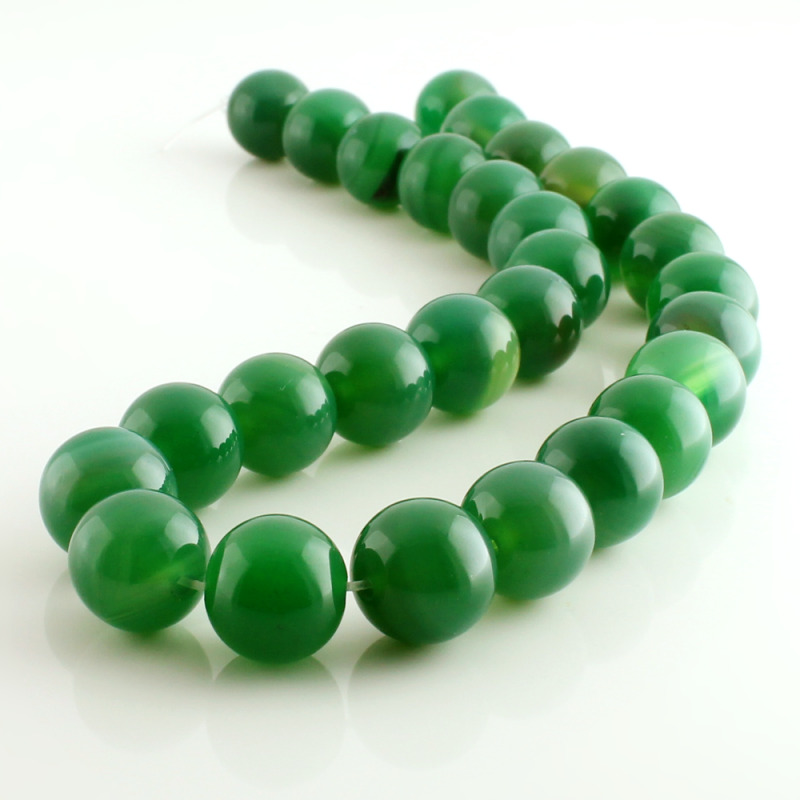 Natural agate beads, dyed and holed. 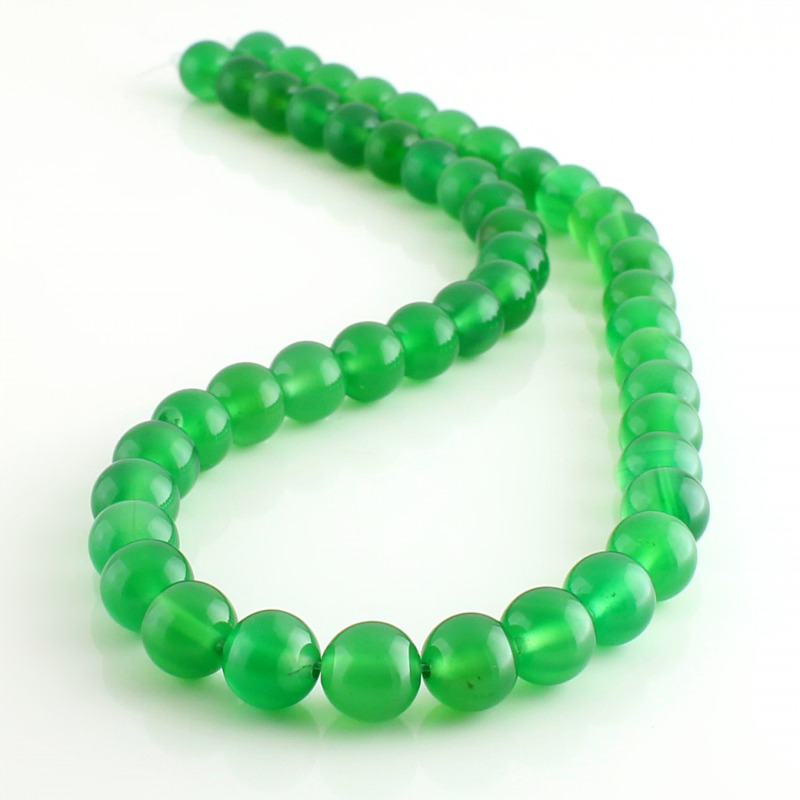 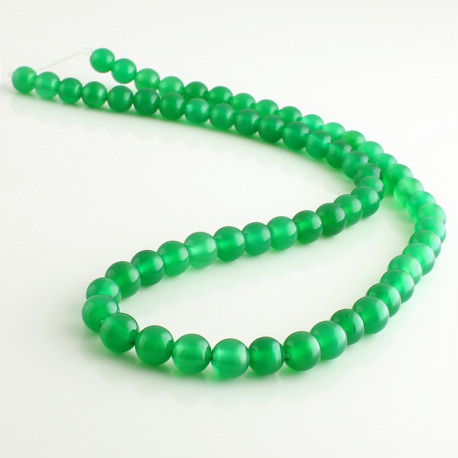 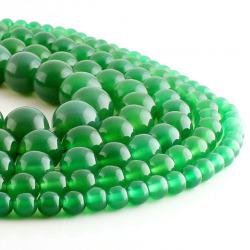 The green agate beads are strung into strips about 40 cm. 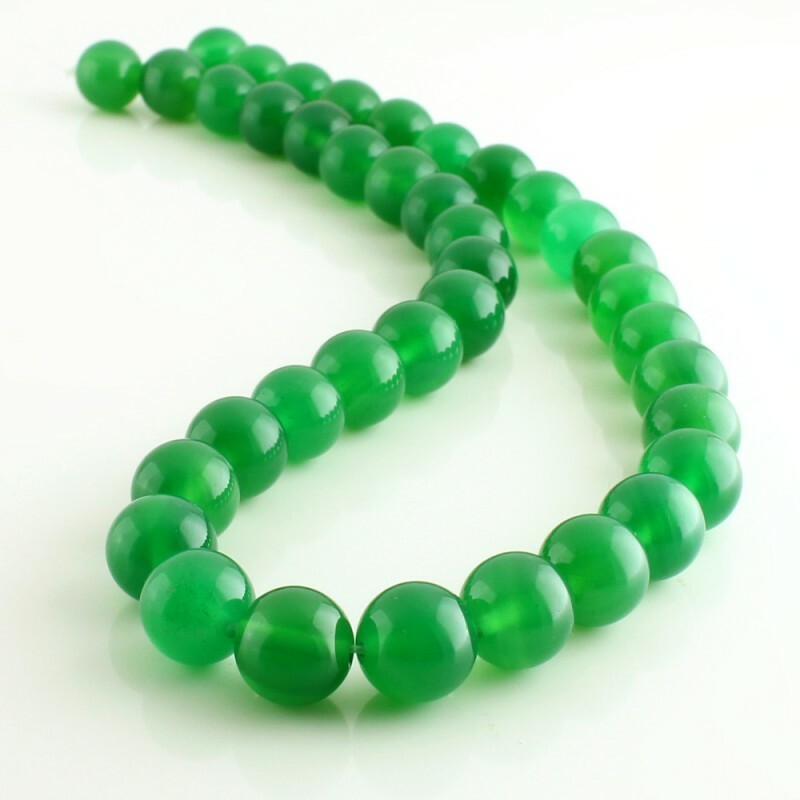 There are available various sizes of round beads. 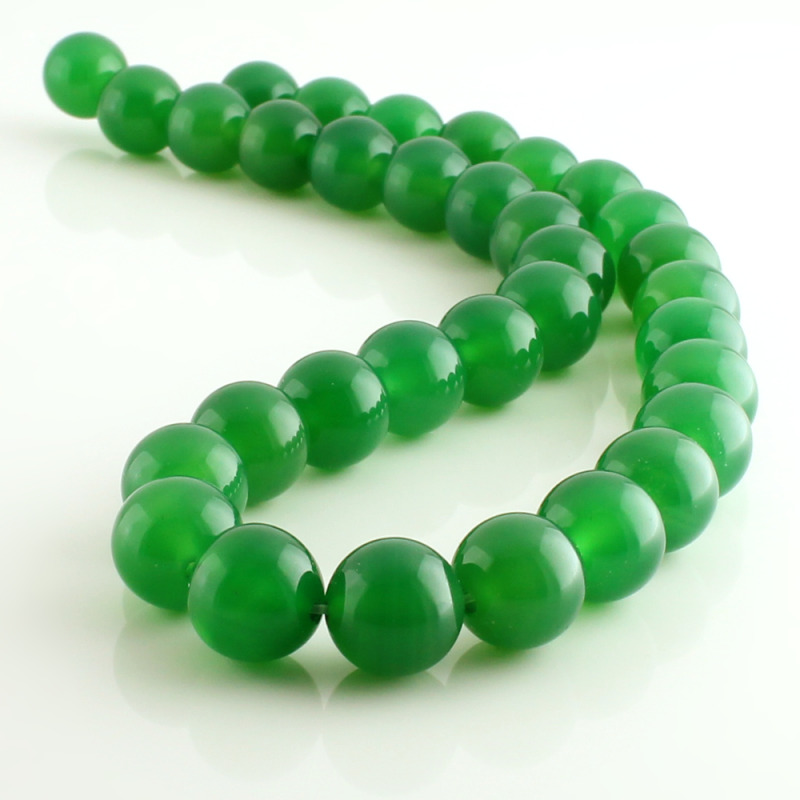 The beads present fairly luster and natural veins, typical of agate gemstone.